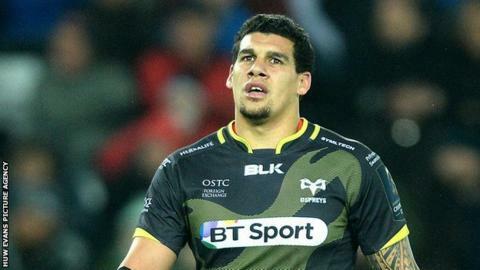 Ospreys centre Josh Matavesi will not face any punishment after being cited following the 27-26 Pro12 victory at Scarlets on Boxing Day. Matavesi, 25, was cited for a tackle on Gareth Owen and appeared before a disciplinary committee on Wednesday. The panel upheld the citing but "agreed with the player that his actions had not warranted a red card". Matavesi is now available to play in Ospreys' next match, against Dragons on New Year's Day at the Liberty Stadium.